With this product you can accumulate up to 96 Glitter Points. Redensify and tones the skin. 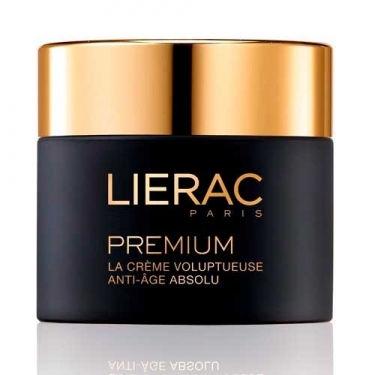 DESCRIPTION: Premium Crème Voluptueuse from Lierac is a day and night cream that is indicated for intense hydration and nutrition allied to the absolute anti age treatment, suitable for all types of skins. 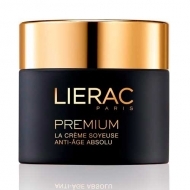 Day and night anti-aging cream for the face that corrects every day. 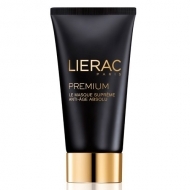 With anti-aging moisturizing and reshaping properties, it is ideal for aged skin with deep wrinkles and loss of firmness. 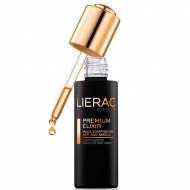 Formulated with a solution of pure hyaluronic acid that gives volume, filling the wrinkles from the inside, recovering the features of the face. 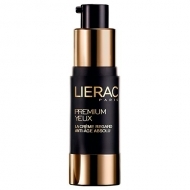 Its regenerating action, acts during the night, attenuating the signs of tiredness, leaving the skin revitalized. Rich in nutritional and antioxidant properties, it gives the skin its elasticity and firmness, making it more even and rejuvenated. Rich texture, specially formulated for dry to very dry skin. Apply morning and evening on perfectly clean skin, and gently massage with circular motions to penetrate the cream. Use according to the needs of the skin.